Can A Heart Attack Qualify Me For Workers' Compensation Benefits? | Pothitakis Law Firm, P.C. Can A Heart Attack Qualify Me For Workers’ Compensation Benefits? Long hours, stress and even poor diet could lead to a heart attack. Millions of Americans suffer from heart attacks each year in the United States and while not all are work-related, there are cases where work can lead to a heart attack.If, however, you do suffer a heart attack you may wonder if you could collect workers’ compensation for that heart attack. The issue with filing for workers’ compensation for a heart attack is that you must establish that the heart attack itself was work-related. Iowa law will only allow workers’ compensation benefits for legitimate work-related injuries or illnesses. Proving that your heart attack is in fact work-related can be difficult – if not impossible. 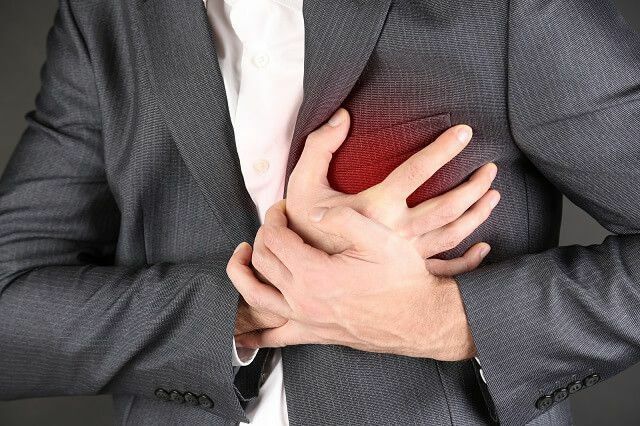 The law will require that you establish that some sort of unusual or extraordinary physical exertion, strain or condition during the course of regular employment led to the heart attack itself – and that no private contributing factors could equally be to blame. Just because you had a heart attack at work does not mean it was work-related. You must be in the middle of a work event and show that your employment contributed to the injury or aggravating a pre-existing condition in a way that led to your heart attack. An employer can also argue that you are not eligible for benefits because of your dietary habits and overall physical condition. They can state that these aggravated the condition, not the employment, and that it led to your heart attack. However, if you can also prove that the stress of your job aggravated your condition and triggered a heart attack, you may be entitled to workers’ compensation benefits under the law. You must establish that your heart attack was in fact work-related. Diet and other mitigating factors could be an issue – especially if it can be established that your poor diet choices or overall physical health contributed to the attack in some way. For example, if you were required to work 14 hours straight during a holiday rush and had to run back and forth, lift heavy objects and take limited breaks, you could suffer from a heart attack that would be work-related. Because of the inherent complexity in this type of claim, you should contact a workers’ compensation attorney in the state right away. An attorney will help establish that your heart attack was in fact work-related and may need to enlist the help of medical professionals to prove such. The attorneys at Pothitakis Law Firm, P.C. can assist you with your workers’ compensation claim, no matter where in Iowa it occured. If you had a heart attack due to the stressful nature of your employment (whether physical or emotional), we can help fight for your right to collect compensation under the law. Heart attack claims, while possible, are extremely difficult to prove. Therefore, you need the assistance of an experienced workers’ compensation attorney to help meet your burden of proof not only for the insurer, but the state as well. Contact Pothitakis Law Firm, P.C. today regarding your case at 1-888-459-7613 or fill out an online contact form with your concerns. Previous PostPrevious If A Customer Gets Me Sick, Am I Eligible To Collect Workers’ Compensation Benefits? Next PostNext Will I Still Get Workers’ Compensation Benefits If My Employer Goes Out Of Business?